Short movie 2011, 16 min. Director, manuscript and production. In the Last Moment is a short film about three different people in three different life phases – in three places in Europe. What they have in common is that they are standing face to face with death. In the Last Moment is a film about the art of dying and the art of living. 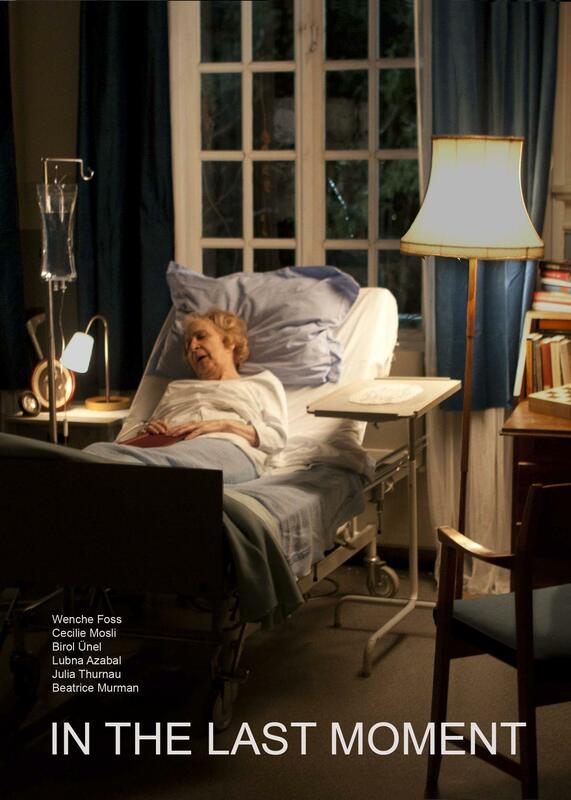 In the Last Moment was filmed in Oslo, Berlin and Provence with Wenche Foss, Cecilie Mosli, Birol Ünel, Lubna Azabal and Julia Thurnau in the main roles. The film premiered in cinemas together with The Bambi Effect in July 2011, and has later been shown at festivals in Norway and internationally, first at the short film festival in Grimstad and in Sofia. Three animation shorts 2005, à 6 minutter. Manuscript og directing. Mr. Jones is a puppet show trilogy for children – three animated films, each one six minutes in length. 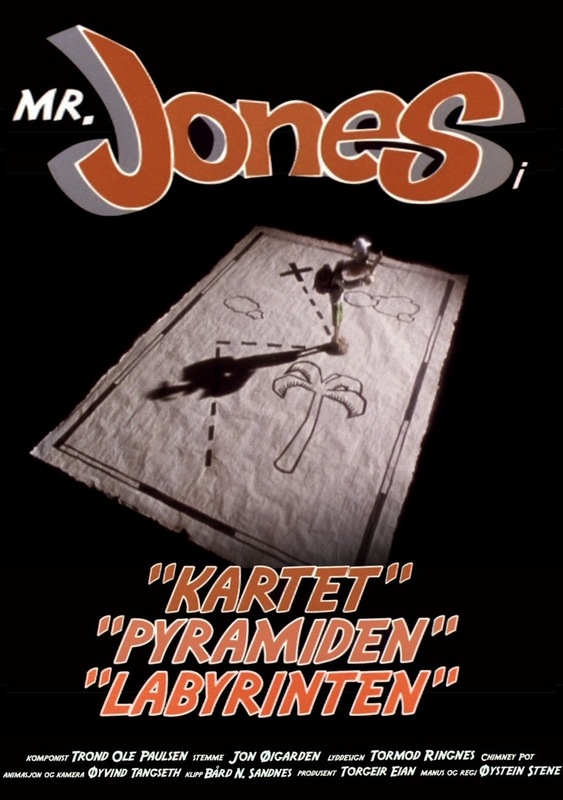 In the films, the character Mr. Jones ends up in slightly absurd universes, all with clear references to classic adventure film scenes: on a treasure hunt, in a labyrinth, in a mysterious pyramid. But instead of finding the treasure, the centre of the labyrinth or the answer to the riddle of the pyramid, Mr. Jones continually encounters new paradoxes and problems. The Mr. Jones films are an attempt to create challenging children’s films in which the puzzle does not necessarily have a solution and the answer is no longer a given. The films were first shown at the short film festival in Grimstad in 2005, and have since then taken part in more than 30 film festivals all over the world. They received the jury’s prize of honour for best animated film for children at the KROK festival in St. Petersburg 1997. They have also been shown as short films before feature films for children at the cinema, and on the Norwegian Broadcasting Corporation’s children’s television segment. The films are available in a number of DVD collections. Short 2011, 12 min, manuscript and directing. A couple is busy painting their new apartment and when an argument breaks out between them, he locks himself in the bathroom. But when he wants to come out again, he breaks the key – and is thereby locked in. The locksmith is called and a man appears who knows more about being locked in that one might expect. Venus og Mars is a dialogue through a locked door, a dialogue about masculinity and femininity, about metaphors and analogies – and about being locked in and locked out. The roles of Venus og Mars are played by Espen Reboli Bjerke, Tonje Sisevic Thorland and Behruz Arshi. Parts of the film are told through comic strip illustrations by Håvard S. Johansen. The film premiered at the short film festival in Grimstad in 2005.